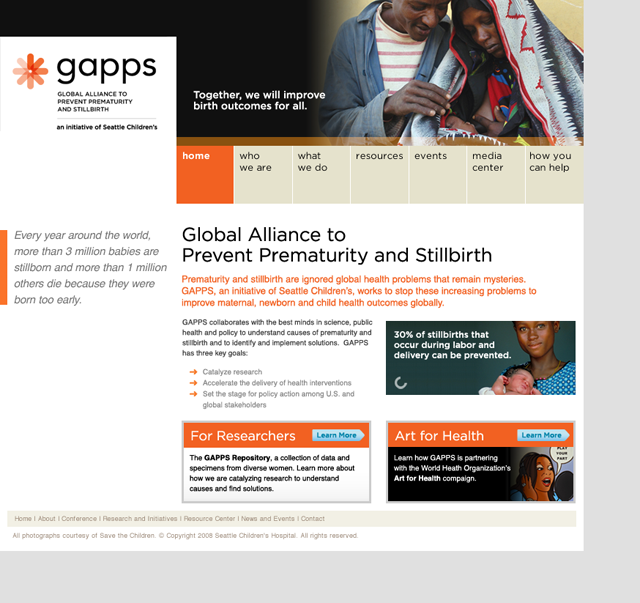 Before we had even completed branding for GAPPS, they needed to launch a website to introduce their program to sponsors and researchers around the globe. 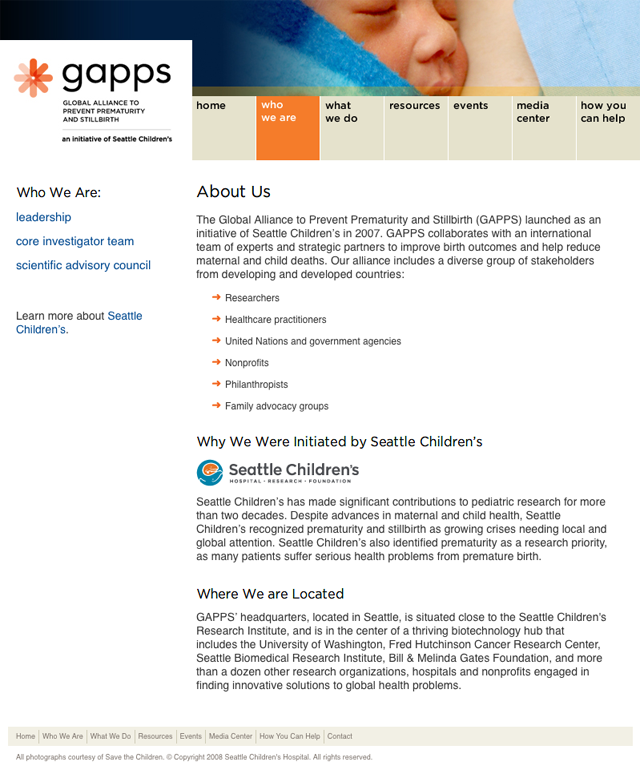 We applied initial branding and design directions to a flagship website, using preliminary content provided by GAPPS. For the second phase of the site we revised designs and replaced content. The site uses a CMS that allows the client to easily change content as the organization grows and more papers and research are published. As GAPPS moves toward their first conference in 2009, we continue to improve the site to address the needs of their rapidly growing organization.